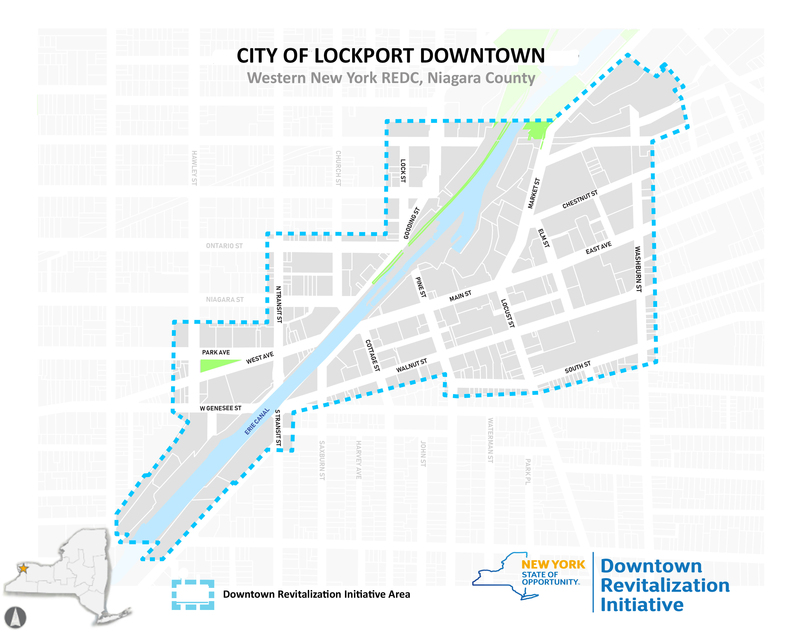 Downtown Lockport was selected as the winner of the $10 million Downtown Revitalization Initiative in Western New York. The City of Lockport is a unique canal community anchored by a growing, progressive downtown district and an established tourism season. The walkable and bikeable 15-block central business district has several iconic buildings that are vacant or underutilized and represent impactful economic development opportunities, especially for a blend of affordable, market-rate, and luxury housing. Recent public investment has already driven private developer interest in downtown properties, leading to significant improvements such as the renovation of the blighted 57 Canal Street property into a bustling epicenter, now host to numerous community events. The DRI planning effort will unlock the downtown’s full potential by enhancing corridors from residential neighborhoods into the heart of downtown with revitalized buildings, attractive storefronts, and residential options – providing a walkable, livable, and sustainable community that residents and visitors alike can take pride in.